Headlining Band at the TIN LIZARD on May 31 & June 1! 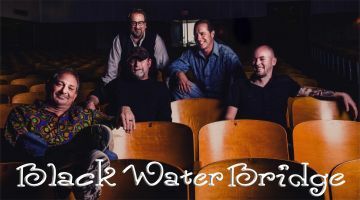 Black Water Bridge- is a musical brotherhood of diverse talents, united by their love of music. They share a common history of self-taught musicianship inspired by the traditional and gospel music of church and fostered in the choirs and bands of public education. Their varied influences are reflected in the song list they constantly update. From vintage rock to current country and pop, all selected with an ear for vocal harmonies and quality musicianship. When you attend a Black Water Bridge show, you see more than five incredibly talented singing musicians. You witness a union of like-hearted souls with no place they would rather be.